We make up to 35,000 micro decisions a day. It would exhaust our brains to make most of those decisions consciously and rationally. So it’s not surprising that we use mental ‘shortcuts’ or heuristics. What is surprising is how consistent those shortcuts are—and they may not always lead to the most correct answer. Behavioral Economics is a bridge that joins rational economics and psychology. Understanding Behavioral Economics can make health technology more effective. 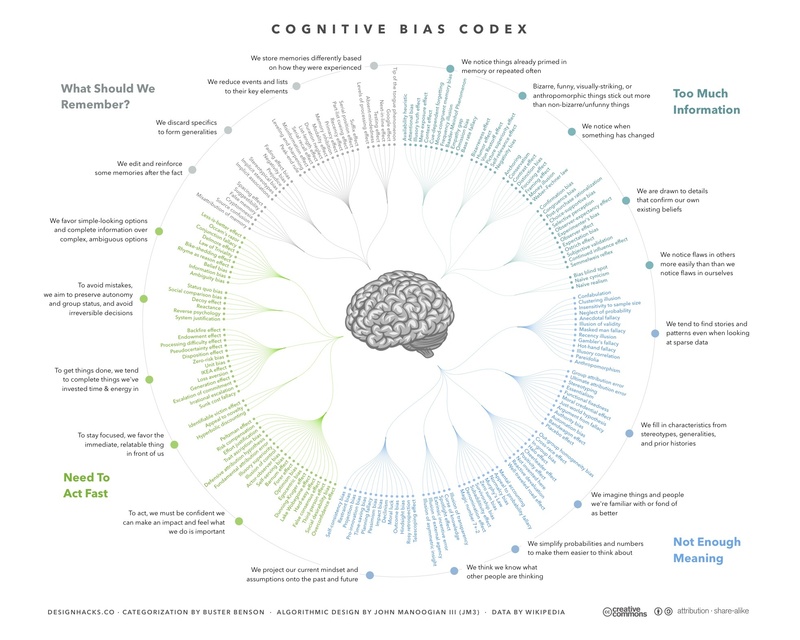 In this article we’ll look at how design can address Sunk Cost Fallacy and Hyperbolic Discounting and other cognitive biases that influence our choices. Ayogo advisor Dan Ariely has written a wonderful book in this area that is called Predictably Irrational. Out of the many hundreds of Cognitive Biases, we will focus on two that are most relevant to healthcare applications. Specifically: Hyperbolic Discounting and Sunk Cost Fallacy. But ancient wiring continues to influence our day to day health decisions, even though we make those choices in a very different world. Dan Ariely puts it another way: “in the future, our behavior is always perfect”. In the future, we always take our medications as we are supposed to. We always eat a perfect diet. We exercise. But in the here and now, we make very different decisions. We give in to temptations. Experimentally, it’s been shown that we choose the immediate reward ($5), foregoing the later but larger reward ($10) simply because we have to wait. We have a cognitive bias to consistently choose short-term gain over long-term pain. In the case of medication compliance, for example, technology can provide small rewards and moments of delight for taking your medication properly right now. In the case of symptom or lifestyle tracking, technology can provide seamless tracking from devices such as Fitbit that help you see how your behavior today is shaping tomorrow. We are biased to persist with actions or decisions that we’ve previously invested money, time or effort in, even if that choice is no longer a good one. Think of the expression ‘throw good money after bad’. Our former investments have an inertia that prevents us from switching directions. We resist changing diets until all our old unhealthy food is eaten. We persist with a pharmaceutical treatment even if it proves ineffective because the health insurance will pay for it. Empathic technology can help you move through the pain of sunk costs and move on. Digital narratives, such as those in Ayogo’s Empower Platform™, can help you see the full process and guide you to good decisions. As many people know, sometimes simply having a record of something—a photo memento, for example—can make it easier to discard an unused object, even if it ‘cost good money’. Placing new insights behind a playful facade can help people lower their defenses and look more favorably at new information. If you are ready to move forward with a new way of accommodating healthcare consumers’ good intentions (what they believe they do or say they do) and their actual behavior (what they are biased to do), you may need to work with a team that thinks in these terms. Ayogo is an expert in leveraging Behavioral Economics in healthcare technology. Want to find out how we could incorporate behavioral economics in a digital health solution for you?